This story has just been waiting to break for a week or two – and now we can bring the news that Chad Racing becomes Chad Peninsula Panoz for its assault on the 2007 Le Mans Series, and the team will run two Panoz Esperantes in the whole, currently five race, series. The identities of the most of the drivers can now be confirmed too – with a pair in one car all signed up, plus two out of three in the other. John Hartshorne and Bo McCormick will drive one Esperante (with one seat still vacant), while father and son pairing Michael and Sean McInerney will drive the other, as a pair rather than a trio. Hartshorne and McCormick were getting some seat time in a Chad Racing Norma last week, as they prepare to step up to the pace of the Panoz. LNT Automotive, the Panoz European agents, will obviously be supplying the cars, and Chad Peninsula Panoz, based at Canvey Island, is hoping to take delivery in late January, leaving plenty of testing time before the Le Mans Series test days at Paul Ricard in late March. 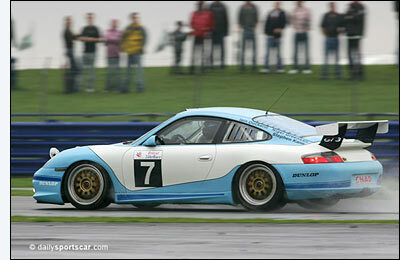 Chad Racing has been building a name for itself in endurance racing in recent seasons, with team owner Iain Dockerill and team manager Jim Hersey masterminding a superb result at the 2005 Britcar 24 Hours, the two pale blue and white Porsches finishing second (Dockerill / Nigel Greensall / Steven Kane - right) and fifth (McCormick / Andy Allen / Philip James / Calum Lockie / Pete James), and winning the Cup Class. In 2006, the team took over the running of John Hartshorne’s Peninsula TVR – always with a view to a further progression for 2007. LNT confirms that the two Esperantes will be identical in build to the Le Mans winning GT2 car. The sale of these two is a really positive sign of the growth of LNT’s role as Panoz agents in Europe. 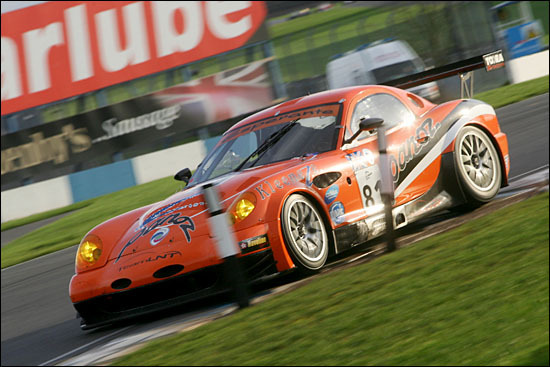 LNT Automotive has also reached agreements for the sale of further Panoz GT2 cars for the 2007 season (details to come). “Sales are good, interest is strong,” says Richard Dean, MD of LNT Automotive. “We also have a support and engineering service in place as a back up for our customers so they have a point-of-contact here in Europe. 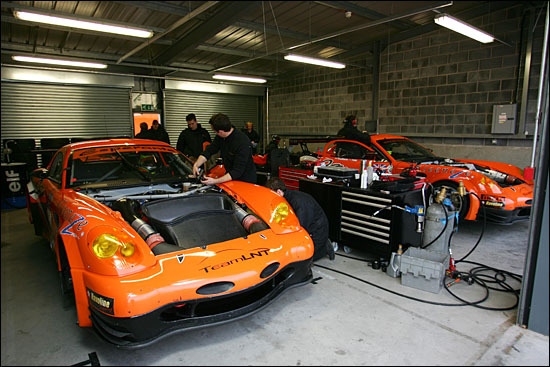 The Panoz marque was also very active in British GTs in 2006, but even as that series heads in the GT3 direction, GT2 is looking stronger than ever, as Ferrari and Porsche are joined by new marques. 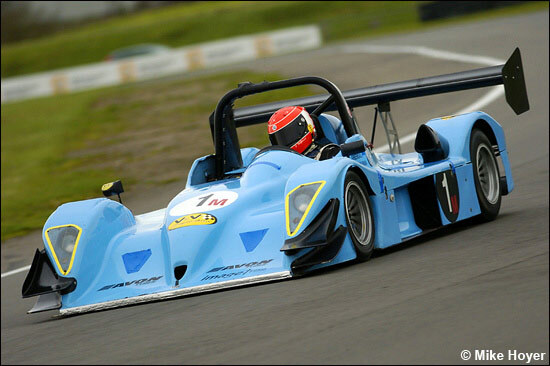 LNT was testing several new developments for the Esperantes on two of its cars at Donington Park last week (photos below) – and of course already has a confirmed entry for Le Mans. Chad Peninsula Panoz will be filling in that 24 Hours entry form for 2007, with fingers crossed that the team is invited to join the big one. “Privateer teams can take this car and be competitive, just as we did at the start of the 2006 season,” sums up Richard Dean. Little did he know that a finish at Sebring (where a Multimatic Panoz won the class) would be followed by the GT2 class win at the Le Mans 24 Hours.